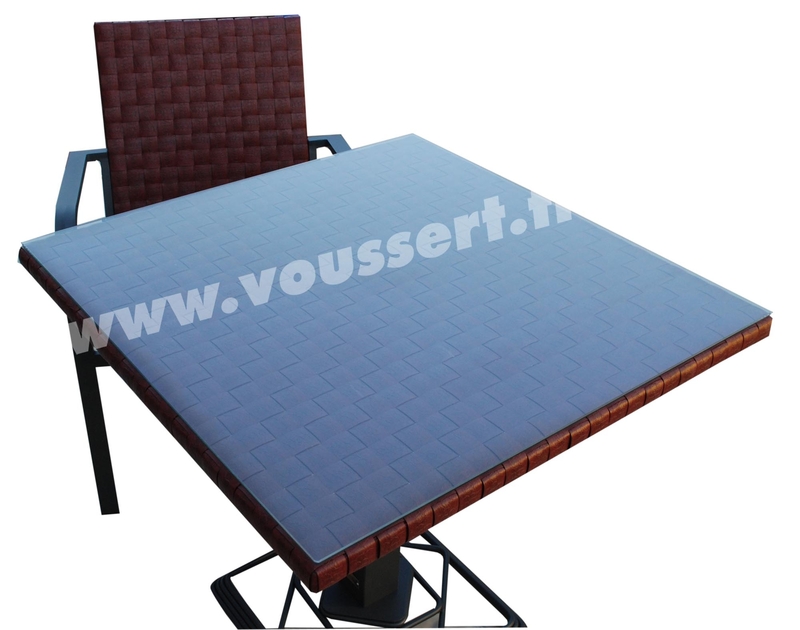 Square bistro table aluminum and tressee resin for terrace line Kaiman. Dimensions 80 x 80 cm. Height 74 cm. Aluminum structure. 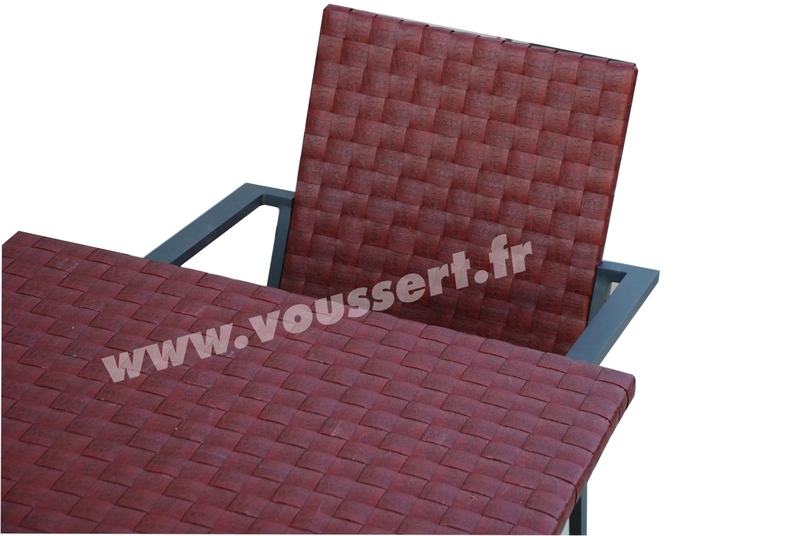 Braided resin made from high-density polyethylene fibers, extruded and tinted in the mass, which gives them exceptional comfort and durability. The fiber used in the Kaiman range is thicker than most other manufacturers. 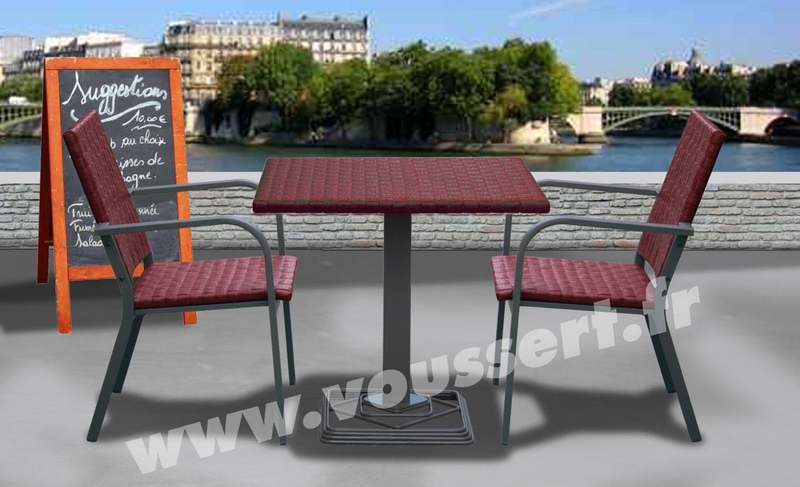 It allows us to realize a very realistic design with the Croco bordeaux or chocolate motif. It is more difficult to braid but also more durable, more resistant to friction, tension, UV. The structure is made of extruded aluminum allowing to combine a perfect resistance to corrosion, solidity and lightness. All our structures are finished with a high-quality epoxy paint offering a perfect resistance to ultraviolet rays. Each piece is subjected to an extensive quality control. Feet central stable. 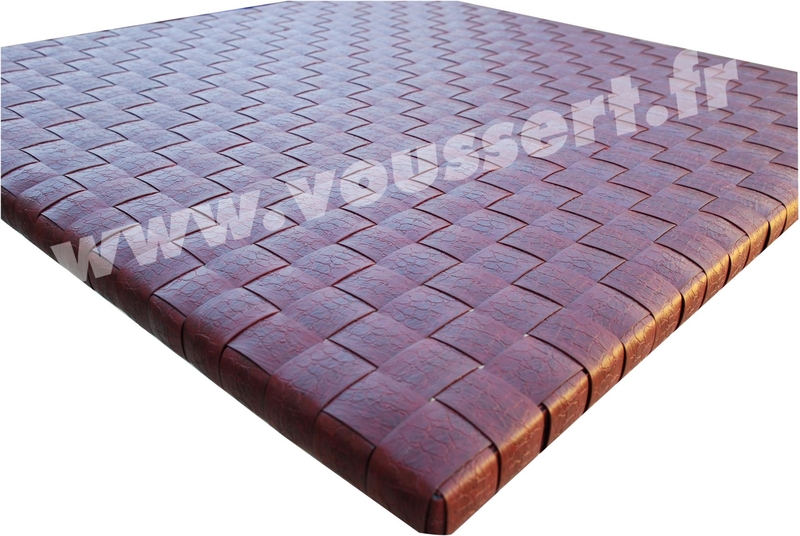 Resin plate braided 35 mm flat thread crocodile imitation Bordeaux. 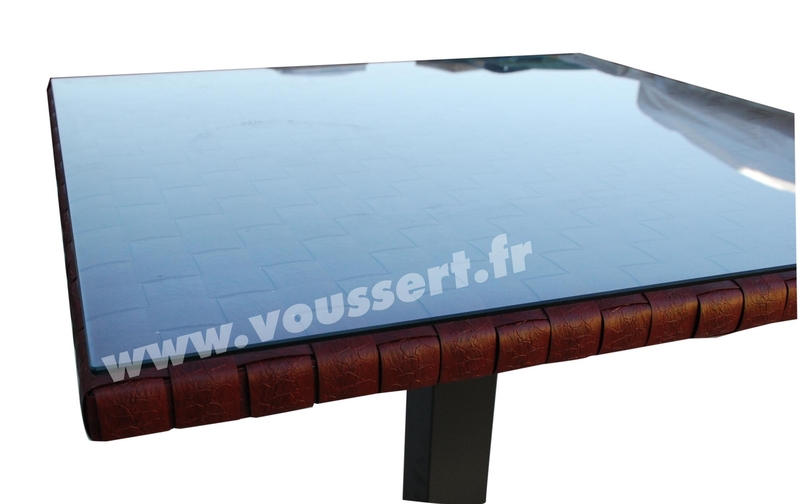 Tempered glass top 5 mm. 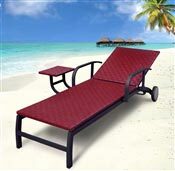 Product in stock clearance within the limit of stocks.